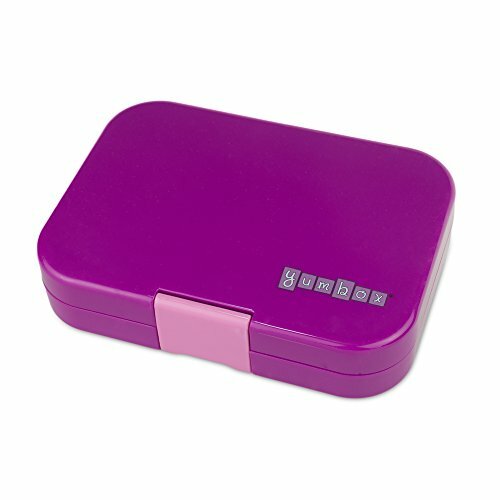 YUMBOX is leakproof! Pack wet foods like yogurt and applesauce (not water). Seals with one lid. Kid-friendly latch. 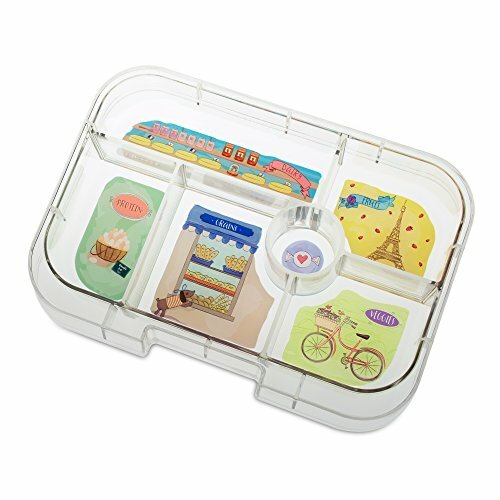 Removable tray with Paris themed illustrations holds five 1/2 cup portions (i.e., 2 1/2 cups plus dip in round well). 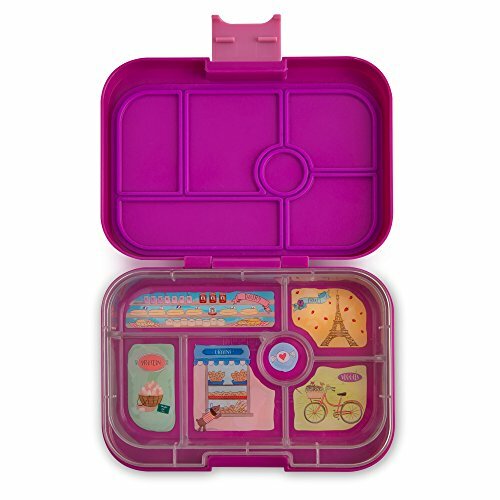 Recommended for Young Kids (toddler - age 8) All food-safe materials, BPA-free and phthalates-free. Sturdy ABS (outer box) with stainless steel supported hinge, Tritan(tray) and Silicone (seal). Good Design Award winning Children's Product. Dishwasher safe. Top rack only. Hand washing the outer shell and/or removing it before the heat dry cycle is highly recommend to preserve the seal. 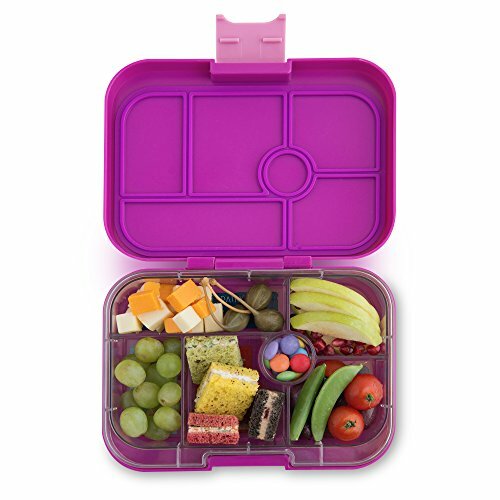 If you have any questions about this product by Yumbox, contact us by completing and submitting the form below. If you are looking for a specif part number, please include it with your message.